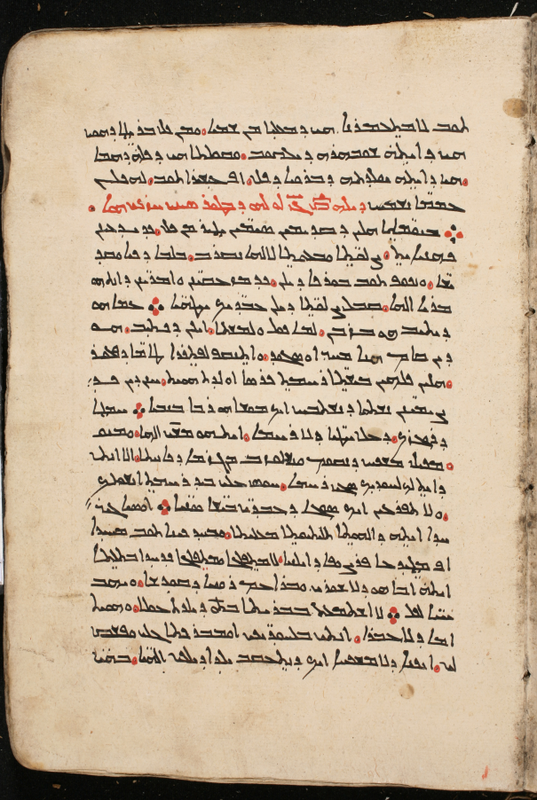 According to Hatch (An Album of Dated Syriac Manuscripts, 28-29), the Melkite Syriac script developed from Serto, but he generally points out similarities with Estrangela and East Syriac, too, echoing Wright, who says that it “inclines in many points towards the Nestorian” (Cat. Syr. Brit. Mus., pt. III, p. xxxi). Plates xv-xvii of Wright’s catalog provide some examples. Hatch knew of only fourteen manuscripts, including those in Wright’s catalog, in Melkite script clearly dated before the end of the sixteenth century, the cutoff point for his Album. The oldest of these manuscripts is one finished at the Lavra of Mar Elias on the Black Mountain and dated 1045 CE. Hatch offers examples in his plates clxxxiv-cxcvii. A few more examples from HMML’s work at the Church of Mary in Diyarbakır, of good quality and in full color, will be a welcome addition to the samples otherwise available. 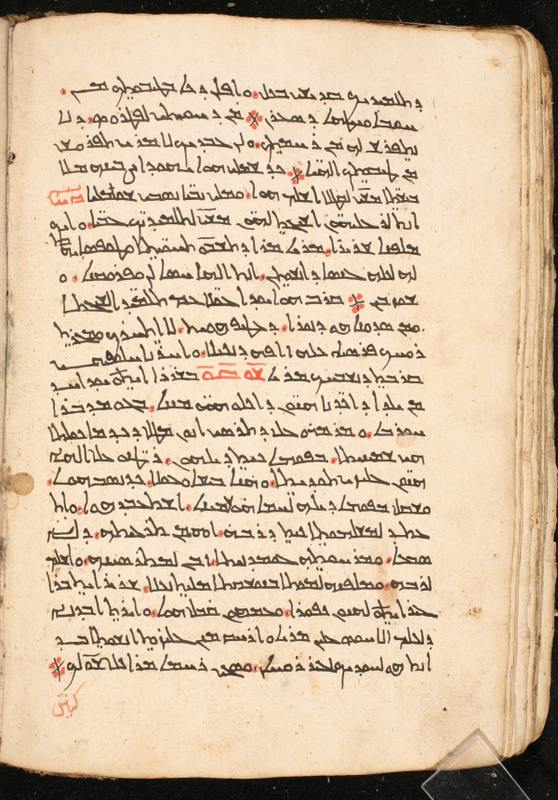 The manuscripts are indicated by their HMML source number. DIYR 00062. Menaion, dated 1535. DIYR 00063. Menaion, 16th cent. DIYR 00083. Pentecostarion, dated 1540. DIYR 00335. Menaion, 16th/17th cent. 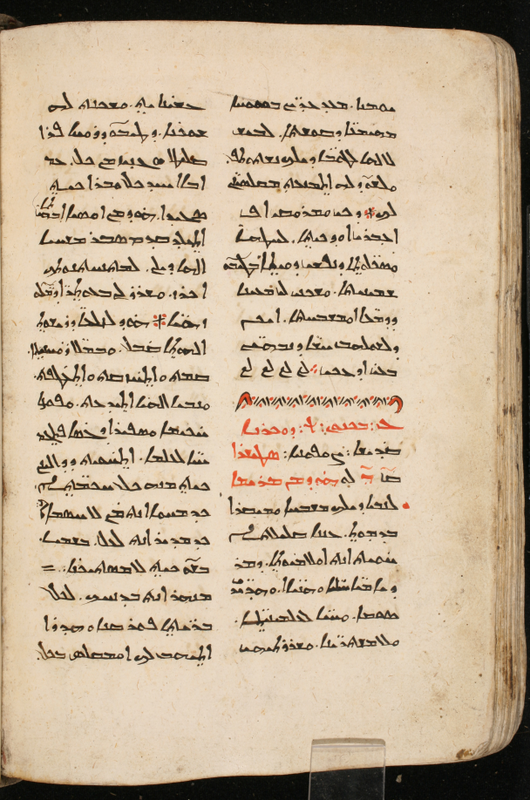 Was ancient Syriac script written from right to left or left to right. 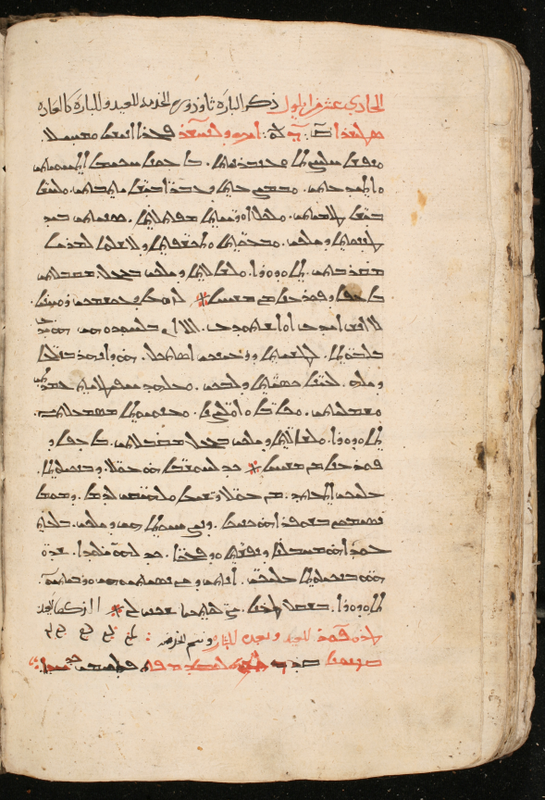 We have some examples of something which was identified as ancient Syriac script. I would like to send you a sample to see if you can identify it., This script is similar to some of these samples, but it is more rounded. Would you like me to scan it and send it to you? Syriac script is written right to left. If you’d like to send me a sample of your document, feel free to: amccollum AT csbsju DOT edu.